Rory has a bed full of balloons to destroy. All 17″ except 1 30″ at the end. She is super tall so she really gets some momentum as she sits on them from on high. a couple others she bounces on to give us some neck. 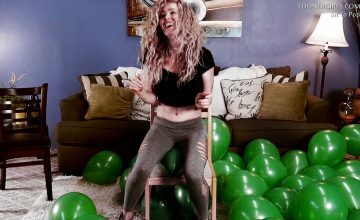 ← Previous Story Looner Girls Big Red Balloon Pops with Casey!